Reporters Without Borders (RSF) condemns the latest cases of persecution of journalists in Iran, this time involving the editors of news channels on the Telegram messaging service in the northwestern province of West Azerbaijan. In Urmia, the provincial capital, Salehaldin Ranjbar was arrested on 23 December to begin serving the one-year prison sentence he received in August, which was confirmed on appeal. The editor of the Oromieh Dang (Voice of Urmia) Telegram channel, Ranjbar was originally arrested a year ago but was released on bail of 200 million toman (18 000 euros) after two weeks. He was convicted of “inciting revolt” for covering protests about a 13-year-old school student who was sexually harassed. Mohamed Hossein Sodagar, the editor of the Sozbasnews channel, was flogged in the city of Khoy on 24 December. He was given 74 lashes, the sentence passed on him in 2017 for allegedly defaming a member of the municipal council during the 2017 election campaign, when Sozbasnews ran a story proving that the councillor’s claims to have been awarded a doctorate with distinction were false. After the councillor filed a defamation complaint, Sodagar was summoned to a hearing in May 2017, but the hearing was postponed because the plaintiff did not turn up. Sodagar learned two months later that the court had sentenced him to 74 lashes in his absence. Regarded as a cruel and inhuman punishment, flogging is banned by international legislation, including the Convention against Torture and other Cruel, Inhuman or Degrading Treatment, which Iran has still not ratified. Reporters Without Borders (RSF) condemns the detention of Assal Mohammadi, a citizen-journalist and defender of workers’ rights, who was arrested by intelligence ministry agents on 4 December after a search of her Tehran home. A student at the Islamic Azad University and member of the editorial board of the student newspaper Game, Mohammadi had written articles for various news websites and tweeted about strikes by workers at the Haft-Tappeh Sugarcane company, who demonstrated for 20 days outside the office of the governor of the southern district of Shush to demand more wages. The authorities have yet to say why she was arrested and where she is being held. Reporters Without Borders (RSF) condemns the three-year jail sentence that a Tehran revolutionary court has just passed on Mohammad Hossein Heidari, the editor of the Dolat e Bahar news website, bringing the combined prison sentence he has received in the past four months to four and a half years. Heidari was again convicted on charges of “publishing false information designed to trouble public opinion” and anti-government “propaganda,” his lawyer, Hamed Khaki Mojarad, reported yesterday, announcing that he plans to appeal. A supporter of the controversial former President Mahmoud Ahmadinejad, Heidari was released after an initial arrest in December 2017. Arrested again at his home on 22 May, he has been held ever since and was sentenced in September to 18 months in prison, a fine of 4 million toman and a two-year ban on practicing online journalism on the same charges. Reporters Without Borders (RSF) condemns the extremely long sentence of 12 years and nine months in prison that Hengameh Shahidi, the editor of the Paineveste blog, received at the end of a trial behind closed doors on 1 December. She has also been banned from joining political groups, any online or media activity, and leaving the country. Her clearly intimidated lawyer, Mostafa Turk Hamedani, told AFP: “Given the confidentiality of the proceedings and the sensitive nature of the case, I cannot disclose details about the court’s verdict.” Her family said she was convicted in connection with her revelations about injustices within the judicial system and her criticism of the official who heads it, Sadegh Amoli Larijan. On 15 May, a few days after posting several tweets about her time in detention last year, Shahidi tweeted that she had been summoned by the Tehran prosecutor’s office for culture and media for “insulting the head of the judicial system.” She was arrested as she left hospital on 25 June and has been held in isolation and denied her basic rights ever since. When first arrested in March 2017, she went on several hunger strikes in protest against her detention and against the conditions in which she was held, despite being very ill. She was finally released the following August. Reporters Without Borders (RSF) has learned that Massoud Kazami, a former reporter for the daily newspaper Shargh, was released on bail on 11 November. He was arrested on 5 November often posts tweets criticizing the situation in Iran and the policies of the different government factions. The Tehran prosecutor announced the same day that the article would be the subject of a prosecution for “insulting the third Shia imam.” After the announcement, a hate campaign was unleashed against Khoshhal on social networks by government supporters, who posted his photo and phone number. He was also fired by the newspaper’s editor, Mohammad Ali Vakili, who is a reformist representative for Tehran in Iran’s parliament. The article in which Khoshhal mistakenly typed “death” instead of the “martyrdom” offered health and hygiene advice for pilgrims participating in the Arba’een political and religious pilgrimage to Husayn’s traditional burial site in the Iraqi city of Karbala. The reason given for his arrest are typical of the absurd religious pretexts that the judicial system finds in order to silence critics of the regime's propaganda policies. Reporters Without Borders (RSF) condemns the Iranian judicial system’s persecution of Saeed Malekpour, a citizen-journalist who has been in prison for the past ten years. 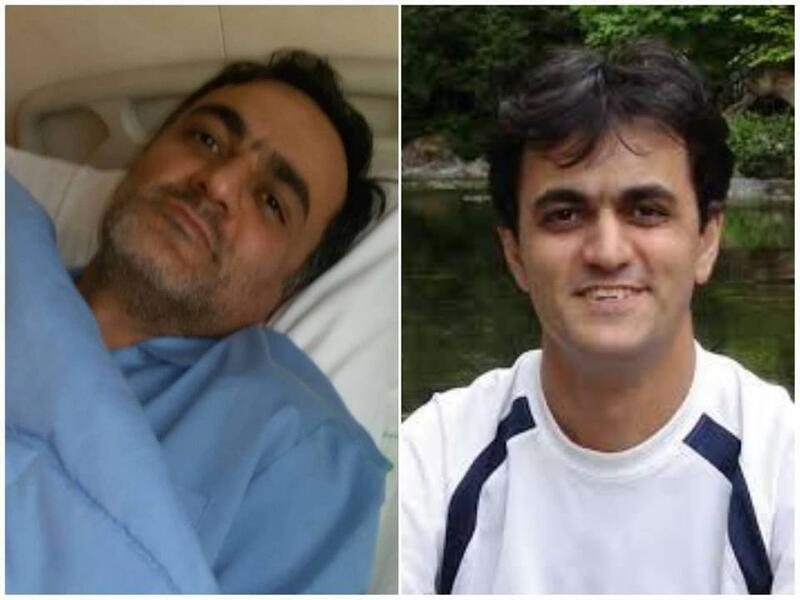 After suffering a heart attack, he was taken to Tehran’s Taleghani Hospital on 22 October but was returned to his prison cell just two days later against the advice of the hospital’s doctors. During his ten years in prison, he has never been granted a furlough, whether to visit a doctor or a relative, although Iranian law provides for this. Malekpour was a website designer living in Canada when he was arrested in 2008 while visiting his family in Iran. After his arrest, he was held incommunicado in Tehran’s Evin prison and was tortured, according to the information obtained by RSF. He was sentenced to death in November 2010 on a charge of creating “pornographic” websites and “insulting Islam’s sacred principles,” because he had created a photo-sharing app that was used without his knowledge to transmit pornographic images. His sentence was later commuted to life imprisonment. 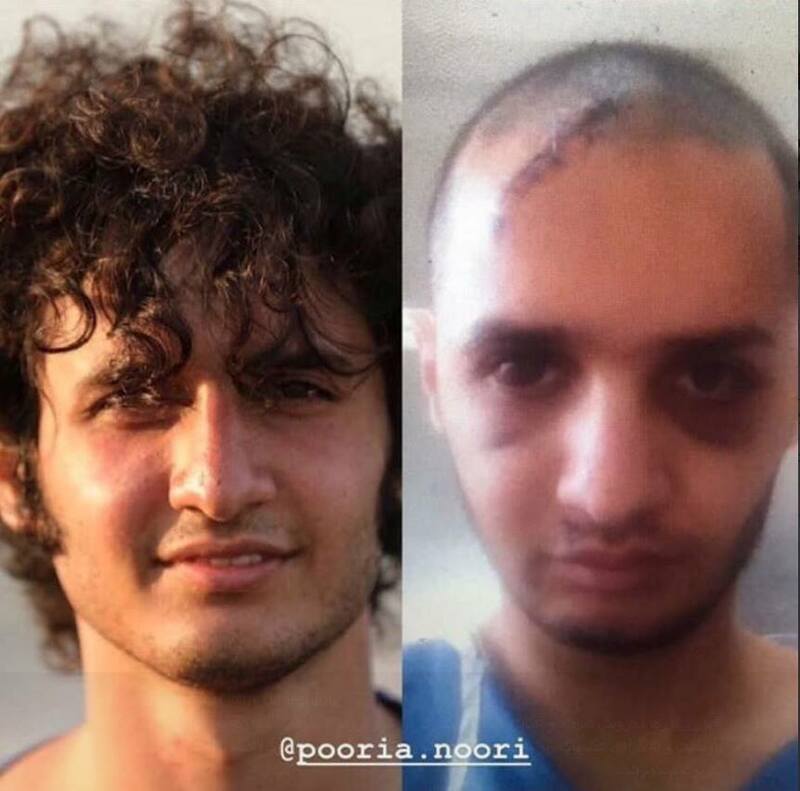 Reporters Without Borders (RSF) has learned that Poriya Nour, a citizen-journalist working with the Sufi Majzooban Noor website, was released on 19 October. Nour was arrested along with other journalists who work for the site on the night of 19 February, during clashes between police and members of the Sufi religious community of Gonabadi dervishes in the north Tehran district of Pasdaran. The families of five detainees who worked for the Majzooban Noor website – journalists Reza Entesari, Kasra Nouri and Mohammad Sharifi Moghadam and citizen-journalists Sina Entesari and Amir Nouri – have had no news of them for the past 50 days. They were separated from other detainees at the start of September when riot police broke up a protest in Tehran prison about conditions, especially the degrading conditions for women. Reporters Without Borders (RSF) has learned that Abdol Reza Davari, the former editor of the newspaper Shahrvand and the government news agency Irna, was released on 1 September after the Tehran supreme court overturned his conviction. He had served 15 months of a three-year jail sentence on a charge of “insulting” Supreme Leader Ali Khamenei in three Facebook comments. He was originally sentenced in September 2013 to six years in prison but it was reduced to three years on appeal. He began serving the sentence after his arrest in May 2017, two days after posting an open letter criticizing Ebrahim Raisi and Mostafa Pour Mohammadi, two members of a commission that passed death sentences in 1988 on thousands of political prisoners who refused to renounce their beliefs. 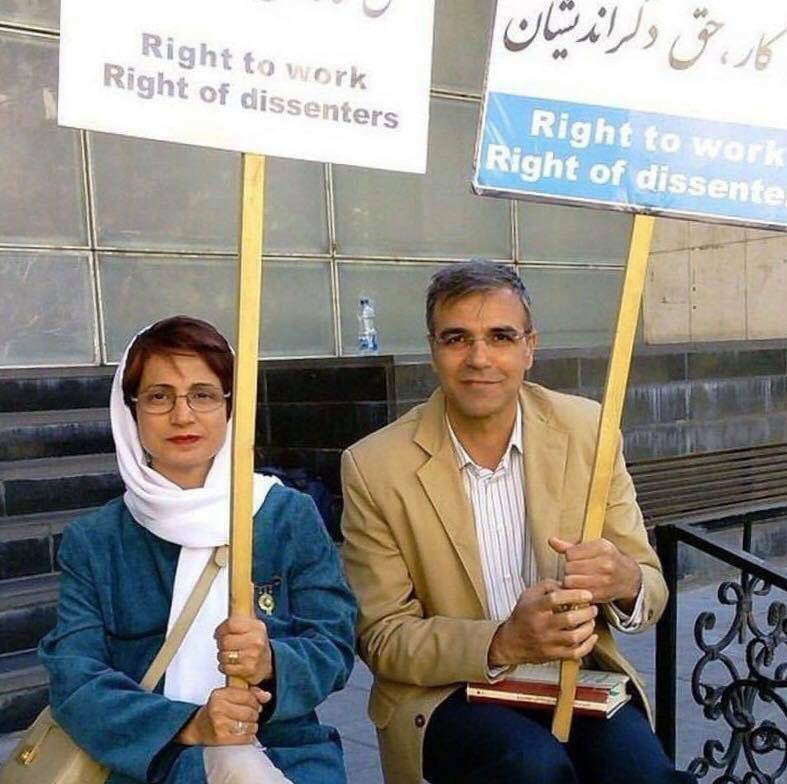 Reporters Without Borders (RSF) condemns the arrest of Reza Khandan, the husband of Nasrin Sotoudeh, a prominent human rights lawyer who defends journalists. Intelligence ministry agents arrested him outside their Tehran home today, 12 weeks after Sotoudeh herself was arrested on 13 June. In a Facebook post yesterday, Khandan said an intelligence ministry agent had called him and asked him to report next day to the ministry. “I told him that a telephone summons without a court decision was illegal,” Khandan wrote. “He replied: ‘So, you will be arrested.’” The father of two children, Khandan has often posted updates on Facebook about his wife’s situation. In an interview yesterday for Radio Farda (Radio Free Europe), Khandan also voiced concern about his wife’s state of health and held the intelligence ministry responsible. She began a hunger strike ten days ago in protest against her detention and the five-year sentence she was given in absentia. Awarded the Sakharov Prize for Freedom of Thought in 2012, Sotoudeh has defended many journalists and citizen-journalists. Reporters Without Borders (RSF) is very concerned about the detained journalist and human rights activist Narges Mohammadi, who has been returned to prison after ten days in hospital although still in very poor health. It was her third hospitalization in four months. The first was on 28 May, when she had uterine hemorrhaging. She underwent an operation the next day and was sent back to prison two days later. The second was on 30 June, when her gall-bladder and kidneys were inflamed. A range of conditions prompted her latest hospitalization on 16 August. Detained for more than three years, the ailing Mohammadi has been illegally denied proper medical attention ever since her arrest in May 2015. She has also been denied the right to furloughs although, under Iranian law, all detainees are supposed to get one day of leave a month. 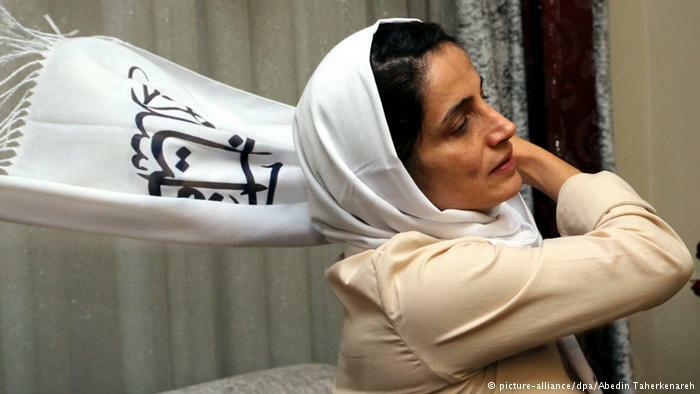 As well as a journalist, the 46-year-old Mohammadi was the spokesperson of Nobel peace laureate Shirin Ebadi’s Centre for Human Rights Defenders. Sentenced to a total of 16 years in prison on several charges, she is officially supposed to spend ten years in prison under a law adopted in the summer of 2015, under which those convicted serve only the sentence for the most serious charge. Reporters Without Borders (RSF) has learned that Amir Hossein Miresmaili, a journalist with the daily newspaper Jahan Sanat (Industry World), was released on bail on 10 August pending trial. He was arrested on 12 July because of a tweet about assistance provided by the Imam Khomeini Relief Foundation to Palestinians in Gaza during the month of Ramadan. Reporters Without Borders (RSF) is outraged by the additional six-year jail sentence that the blogger Soheil Arabi, winner of the 2017 RSF Press Freedom Prize in the citizen-journalist category, has received from a Tehran revolutionary court, and by the 18-month jail sentence imposed on his wife, Nastaran Naimi. The court convicted Arabi of “anti-government propaganda and “insulting Islam’s sacred symbols” in his prison writings, and convicted his wife of “assisting” in these crimes and because she circulated information about the conditions in which her husband has been held for the past four and a half years. The health of Arabi, now held in “Great Tehran” prison, is a source of great concern because of his repeated hunger strikes and the inhuman and degrading treatment to which he has been subjected by the prison authorities. The aim of the judicial system’s persecution of both him and his family has been to get him to stop voicing criticism, even from behind bars. Reporters Without Borders (RSF) condemns the arrest of Amir Hossein Miresmaili, a journalist with the daily newspaper Jahan Sanat (Industry World), on 12 July because of a tweet about assistance provided by the Imam Khomeini Relief Foundation to Palestinians in Gaza during the month of Ramadan. This powerful foundation is one of Iran’s most important charities and handles enormous sums of money. Overseen by Supreme Leader Ali Khamenei, it has sections in various countries including Palestine, Somalia and Afghanistan, and operates as a state within the state. Miresmaili’s offending tweet confirmed a report that Gazan citizens had been assisted with funds originally gathered by the foundation to help Iranians. The foundation’s activities abroad are much criticized in Iran, where, according to official data, 20 million people live under the poverty threshold. Miresmaili was previously arrested on 23 April over a tweet alleged by the authorities to constitute an “insult to the sacredness of Islam.” After being held for 24 days, he was released on bail pending trial. Reporters Without Borders (RSF) condemns the harsh sentence that the citizen-journalist Sadeq Qeisari received from a Tehran revolutionary court on 26 June. He was sentenced to seven years in prison, 74 lashes and a two-year ban on journalistic activity and international travel after completing his jail term. Qeisari was arrested when the authorities broke up a protest by Gonabadi dervishes in the north Tehran district of Pasdaran on 20 February. Like many other citizen-journalists, he has been given a harsh sentence although he was there just to cover the protest. Reporters Without Borders (RSF) is extremely concerned about the imprisoned journalist and human rights defender Narges Mohammadi, who was hospitalized on 30 June with a gall-bladder and kidney inflammation and has other ailments, including muscular paralysis. She has no place in prison and should be freed at once, RSF says. When Mohammadi was previously hospitalized on 28 May with uterine hemorrhaging, she underwent an operation the next day and was sent back to prison two days later. Mohammadi used to work closely with Nobel peace laureate Shirin Ebadi and was the spokesperson of Ebadi’s Centre for Human Rights Defenders, which has been arbitrarily banned in Iran since 2006. Mohammadi has been arrested and convicted several times. After being released on medical grounds, she was arrested again in May 2015 to serve a six-year prison sentence. She began serving a second ten-year sentence in March 2017. Reporters Without Borders (RSF) condemns the arrest of Nasrin Sotoudeh, a famous women’s rights lawyer who has defended many journalists and citizen-journalists and who was awarded the Sakharov Prize for Freedom of Thought in 2012. Sotoudeh was arrested at her home on 13 June by plainclothesmen from the Tehran prosecutor’s office and was taken to Evin prison. In a brief phone call to her family two days later, she said she was being prosecuted for “defending the Avenue of the Revolution girls,” meaning the young women who have been taking to Tehran’s streets since December 2017 in protest against the obligation to wear a hijab in public. She is also accused of relaying their campaign calls to the media and on social networks. Sotoudeh was previously arrested in September 2010 for criticizing arbitrary and illegal arrests and for calling on the regime to respect the rights of its victims, including the journalists and citizen-journalists it wanted to silence. She was sentenced to six years in prison but was freed three years later as a result of international pressure. Since then, she has continued to criticize human rights violations including, in interviews for international media, a provision in the new code of criminal procedure under which prisoners of conscience must choose a lawyer from a list compiled by the head of the judicial system. Without any legal grounds, the intelligence ministry has blocked the conditional release of three young citizen-journalists – Mohammad Mohajer, Alireza Tavakoli and Mohammad Mehdi Zaman Zadeh – who have been held since September 2016. Convicted in April 2017 of “insulting [Supreme Leader] Ali Khamenei and Ruhollah Khomeini, the Islamic Republic’s founder,” “insulting what is most sacred in Islam” and anti-government propaganda, they were given 12-year jail sentences that were reduced to five years on appeal. According to the information obtained by RSF, harassment of the three detainees has intensified during the past two months in Tehran’s Evin prison. The prison director has banned them from receiving medicine and clothes, and Mohajer was prevented from leaving the prison to see a doctor although a prosecutor had given his written approval. The Iranian judiciary’s spokesman, Gholamhossein Mohseni Ejei, announced at a press conference on 27 May that the justice system has requested sentences ranging from 91 days to five years in prison for 14 people who managed news and information channels on the messaging app Telegram. There are other cases in which the prosecution has not yet decided on the sentence it will seek, Ejei added. They include Hamidreza Amini, who was arrested in December and could be facing a death sentence. As the manager of several Telegram channels, he has already been sentenced to a fine of 4 million tomans on a charge of “publishing false information liable to disrupt public opinion.” But, according to his lawyer, he is also charged with “insulting the Prophet of Islam and the Holy Shia Imams” and “insulting government institutions and officials” although the offending comments were posted by subscribers to the channels, not by Amini himself. His trial on these charges is due to begin on 25 June. RSF has meanwhile also learned that Said Ali Bighi, a citizen-journalist who supports the controversial former President Mahmoud Ahmadinejad, has been sentenced to five years in prison and a two-year ban on social network activity because of his Telegram activities and for “insulting government institutions and officials” in articles and reports posted online. Reporters Without Borders (RSF) is extremely concerned about the state of health of Soheil Arabi, an imprisoned photographer who was awarded last year’s RSF Press Freedom Prize in the citizen-journalist category. After waiting outside “Great Tehran” prison for five hours yesterday, his mother was told by prison officials that he was not allowed to receive any visits. She finally learned from other detainees that he had been taken to hospital after a suicide attempt. He is now reportedly back in his cell but his family has not yet been given any official information about his condition. 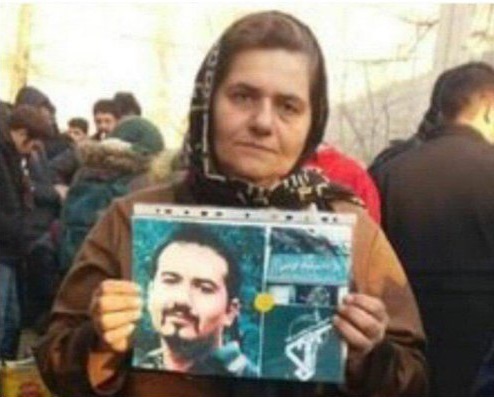 RSF calls for Soheil Arabi’s immediate and unconditional release and points out that inhuman and degrading treatment of prisoners of conscience, including journalists and citizen-journalists, constitutes a gross violation of the Universal Declaration of Human Rights and the International Covenant on Civil and Political Rights, to which Iran is a party. Many detainees have died in Iran as a result of such mistreatment. Reporters Without Borders (RSF) condemns the appalling way that the Iranian authorities are treating 13 detained journalists and citizen-journalists employed by the independent Sufi news website Majzooban Noor, who will complete their third month of detention this weekend. They continue to be denied their fundamental rights, in violation of Iran’s laws and regulations as well as international law. The ten men – Reza Entesari, Kasra Nouri, Mostafa Abdi, Saleh Moradi, Sina Entesari, Amir Nouri, Mohammad Sharifi Moghadam, Mohammad Reza Darvishi, Abass Dehghan and Poriya Nouri – are being held in Tehran’s Evin prison while the three women – Sepideh Moradi, Avisha Jalaledin and Shima Entesari – are now held in the notorious Gerchak women’s prison. All of them are being denied the right to visits and the right to medical care. When arrested on the night of 19 February, they were badly beaten by police and plainclothes militiamen and most of them sustained hand or head fractures. According to the information obtained by RSF, they were then badly tortured by police and intelligence officials at Shahpour police station in south Tehran (which is notorious for torturing ordinary detained suspects) and in Section 209 of Evin prison (the section run by the intelligence ministry). The authorities have just begun to secretly try them before revolutionary courts on charges of “plotting against national security,” “disobeying police orders” and “collaborating with the Majzooban Noor website.” They are not being defended by their lawyers at these trials. Reporters Without Borders (RSF) has learned that Majzooban Nor news website journalists Reza Entesari and Kasra Nouri were transferred to Greater Tehran Prison on 23 February after recovering consciousness. They were arrested on the night of 19 February along with other contributors to the website including Mostafa Abdi, Avisha Jalaledin, Saleh Moradi, Sina Entesari, Shima Entesari, Amir Nouri, Mohammad Sharifi Moghadam, Mohammad Reza Darvishi and Sepideh Moradi. The journalists were badly beaten by police and plainclothes militiamen, as seen in this video, posted by the website’s editor, showing violence being used to arrest members of a Sufi religious order called the Gonabadi Dervishes. Reporters Without Borders is concerned about the physical condition of Soheil Arabi, an imprisoned photographer who was awarded the RSF Press Freedom Prize in the citizen-journalist category last November. After beginning a hunger strike in Tehran’s Evin prison on 25 January, he was transferred to Greater Tehran Prison, on the south side of the capital, four days later. He reported to his mother on 30 January that he was badly beaten by guards at the time of his transfer. “Thirteen people grabbed me and beat me, but I am continuing my hunger strike,” he said. He began the hunger strike to protest against the transfer of two women political prisoners to a prison for ordinary inmates. Arabi has been in prison since December 2013. After his arrest, he was mistreated and subjected to solitary confinement for two months to force him to confess to involvement in creating a Facebook network that “blasphemed” Islam and criticized the government. A long judicial saga ensued in which he was initially sentenced to three years in prison, 30 lashes and a heavy fine. A few months later, he was retried and sentenced to death, but the death sentence was eventually overturned and he was sentenced to seven and a half years in prison instead. Reporters Without Borders (RSF) has learned that Omid Delfani, a citizen-journalist who managed a channel called Bahar e Moghavemat (Springtime of Resistance) on the popular encrypted messaging app Telegram, was arrested in the southwestern city of Khorramabad on 29 January after his home was searched in his absence. There is no official word on the reason for his arrest but Delfani is linked to those who support the controversial former president, Mahmoud Ahmadinejad. The authorities have yet to say where he is being held. Delfani is the second citizen-journalist to be arrested in Khorramabad in recent weeks. Reporters Without Borders (RSF) has learned with relief that Afarin Chitsaz, a journalist with the daily newspaper Iran, was freed on 22 January on completing a two-year jail term. One of the victims of a wave of arrests in November 2015, she was originally sentenced to ten years in prison in March 2016 on charges of anti-government propaganda, conspiring against officials and insulting officials. But a Tehran appeal court reduced the sentence to two years in prison and a two-year ban on working as a journalist after her release. RSF has also learned that tech journalist Arash Zad, the editor of the Weblogina and ArashZad.net blogs, was freed on 25 decembre 2017 after being held for more than two years. Revolutionary Guard intelligence operatives arrested him at Tehran international airport on 31 July 2015 as he was about to depart at the end of a visit to Iran. His family chose to say nothing while he was held in Tehran’s Evin prison. He announced his release in a tweet. Reporters Without Borders (RSF) condemns the detention of Yousef Hassani Tabar, a citizen-journalist based in in the southwestern city of Khorramabad who edits a news channel called Seh Noghteh (Three Points) on the popular encrypted messaging app Telegram. Three weeks after being arrested, charged and then freed on bail, Tabar was arrested again at his home by plainclothes members of the Revolutionary Guards and was taken to an unknown location, where he went on hunger strike until he was transferred to Khorramabad’s main prison. Plainclothesmen searched his workplace and his father’s home on 13 January, seizing all the mobile phones of his family and colleagues. The Seh Noghteh channel has announced its closure. On 8 January, the prosecutor in the southeastern city of Kerman announced the arrests of eight people who edit news channels that use Telegram. RSF is currently verifying all of these cases. 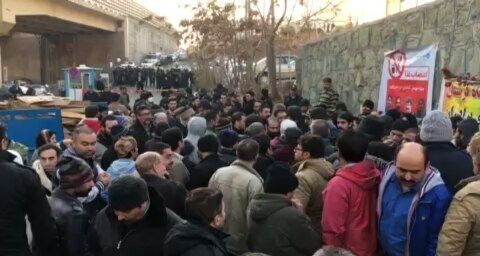 According to various sources, around 3,700 people have been arrested since the start of a wave of protest in more than 100 cities throughout Iran. Many citizen-journalists are among those arrested. The Iranian authorities unblocked access to the encrypted messaging app Telegram on 13 January, two weeks after rendering it inaccessible because its founder, Pavel Durov, refused to shut down all the opposition channels using it during a major wave of anti-government protests. Telegram is very popular in Iran, where it has an estimated 40 million users. By using VPNs, many of them continued to access it during the blocking. At the same time, the government and above all state radio and TV have tried to promote Iranian apps such as Soroush, a “national” app based on the source code of the French app Linphone that has been approved by the Cyberspace Supreme Council. Created at Supreme Leader Ali Khamenei’s behest in March 2012 to oversee the Internet, this body is headed by senior politicians and military officers. The government has also unblocked other apps such as Instagram and WeChat, a Chinese social media app that cooperates closely with the Chinese government. Facebook and Twitter continue to be inaccessible in Iran, and the Internet as a whole continues to suffer frequent disruptions. Reporters Without Borders (RSF) has learned that four citizen-journalists who work for the pro-Sufi news website Majzooban Nor – Mohammad Sharifi Moghadam, Mohammad Reza Sharifi, Faezeh Abdipour and Kasra Nouri – were released provisionally yesterday after pressure from families, friends and supporters, who staged a sit-in outside Tehran’s Evin prison. The four citizen-journalists had been taken to Evin and Rajai Shahr prisons following their arrests by intelligence ministry agents on 31 December. The families of hundreds of detainees have been gathering outside prisons throughout Iran, including the notorious Evin, because of concern about the fate of their loved-ones. Reporters Without Borders (RSF) yet again condemns the persecution of journalists in Iran. Many journalists and citizen-journalists have been summoned and questioned by intelligence ministry officials in Tehran and in the provincial cities of Isfahan, Machhad, Kermanshah and Mahabad. Khosro Kurdpour, the editor of the news website Mokeryan, was summoned twice on 31 December and again yesterday and was interrogated for several hours about his site’s coverage of protests in the western province of Kurdistan. Officials told him that the protests were illegal and that it was therefore illegal for the media to cover them. Kurdpour was already jailed for four years in connection with his journalistic activities, from November 2013 to September 2017.